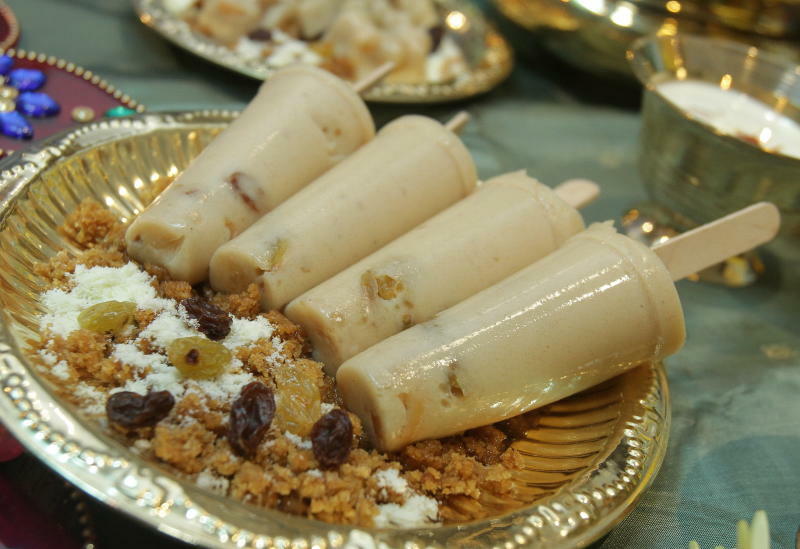 This recipe allows you to enjoy payasam as an ice cream. Don’t forget to let the mixture cool down before pouring it into the ice cream moulds. Also, here’s a tip to keep the ice cream sticks upright – cover the moulds with tin foil, poke the sticks into the ice cream then freeze. This recipe is courtesy of Fernleaf. Add in saffron (optional) and continue stirring until the payasam thickens. Remove from heat and leave the payasam to cool. Divide the cashew nuts and raisins equally into the ice cream mould. Fill in the mould with the payasam and store it in the freezer until completely frozen. Serve.